Ryan Sittler was born in London, Ontario on January 28, 1974 and grew up in Toronto, Philadelphia, Detroit. 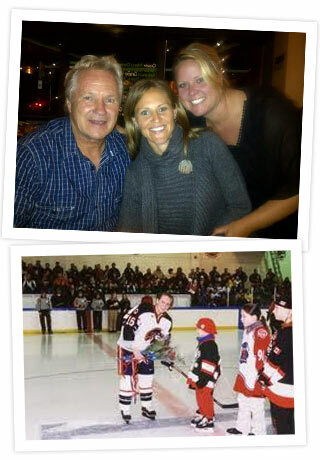 After his father Darryl Sittler retired from the National Hockey League, the family settled in East Amherst, New York where Ryan Sittler attended and Graduated from Nichols School in 1992. 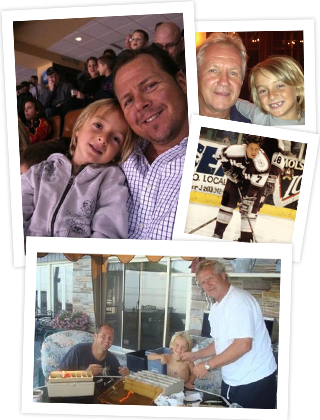 Ryan attended The University of Michigan on a Full Scholarship for Ice Hockey. Ryan was Drafted 7th overall by the Philadelphia Flyers in the first round of the ’92 NHL Entry Draft. Ryan played professionally for five years. His career was cut short by a number of serious injuries. Darryl’s daughter Falon has always had an interest in fashion and in make-up. Falon is a freelance make-up artist working in the Toronto and surrounding area. Meaghan was born on March 12, 1976 in Mississauga, Ontario. She began playing hockey at the age of 5 and developed a strong passion for the game. After graduating from Nichols High School in 1994, Meaghan attended Colby College in Waterville, Maine where she received a Bachelor of Arts degree and played NCAA hockey. During her hockey career at Colby 1994-1998, Meaghan also earned herself a spot on the USA Women’s National Hockey Team. After years of playing hockey and realizing her dream of playing on the USA Women’s Ice Hockey Team, she began to study the concepts and principles behind success. To Meaghan, true success means feeling good about yourself and having the inner confidence to live the life you desire. Today Meaghan works as a professional Life Coach; with a Master’s degree in Social Work, along with training in Life Coaching, Energy Healing/ Energy Science, Reiki, and experience as an Elite Athlete, she uses many tools to help her clients. Meaghan’s ultimate passion is to empower her clients to know that they can truly have peace, well-being, and fulfillment in all aspects of their lives, and to teach them how to tap into this internal power. Meaghan works with clients both locally and internationally.